This website is designed as a fitness platform and online meeting place for fitness and bodybuilding enthusiast from all over the world. 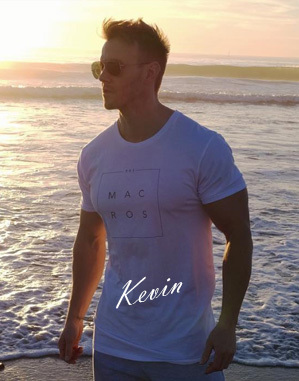 Right from the start, Kevin has collaborated with lots of different fitness experts while also creating a discussion on health, bodybuilding and fitness. At this moment, Kevin’s fitness and bodybuilding community is growing rapidly in strength and numbers. This is your chance to get involved in the action by contacting Kevin. You can reach him by filling in the form below. It is Kevin’s wish and desire to further broaden the scope and reach of the worldwide fitness community, draw on the expertise of coaches and other fitness professionals and make this the best online fitness resource there is. Fitness Program Inquiries: Those interested in joining one of Kevin’s online fitness programs can contact Kevin and be provided with all the relevant program information. Kevin will outline all the different options, help you choose the best program for you and tailor it to your specific needs. Beginners are most welcome and so are the superfit, Kevin can coach you all! Ebook Inquiries: The success of Kevin’s “Nice Facts Ebook Series” has been phenomenal. If you would like to order copies, please get in touch. Kevin is also open to speaking engagements and book events. Youtube and Media: If you would like to obtain some information about Kevin’s Youtube and media work, please get in touch. Members of the media wishing to do a story on Kevin can rest assured – he will only be too happy to oblige. Fitness Industry Colleagues: Kevin loves exchanging fitness tips and advice and is always keen to hear about the latest fitness innovations. If you are a coach or trainer, please get in touch, Kevin would be glad to collaborate. Fitness Support: Physiotherapists, nutritionists, doctors and motivational coaches are also asked to get in touch. On this website, Kevin wants to provide the best and most in-depth information on fitness and related subjects. Bodybuilding: If you are involved in bodybuilding, please make sure to contact Kevin and support him in his efforts to make bodybuilding mainstream. On this website, we publish event notifications and publicize just about anything related to bodybuilding. 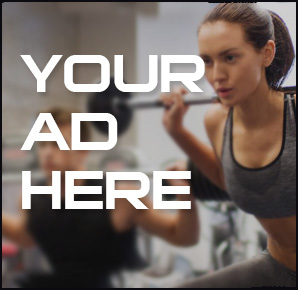 Fitness Product and Service Providers: Kevin likes to support the fitness industry and will gladly review your products or services and subsequently recommend them to his readers. If you provide an interesting fitness/bodybuilding product or service, do get in touch. General Inquiries: You may also contact us with other requests or contributions. Kevin is all about networking and continually tries to grow the worldwide fitness community. Doubters: If you would only “sort-of” like to get fit, be sure to get in touch. I have seen Kevin motivate even the most reluctant people. Networking: If you are a new or aspiring fitness professional and would like to learn the art of networking, Kevin will have you connected in no time. You may get in touch by using the form below. 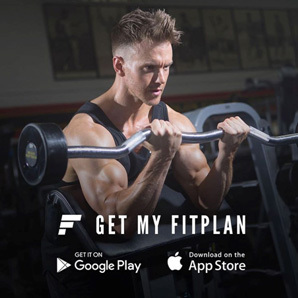 By doing so, you will co-create an even bigger network of fitness and bodybuilding enthusiast and support Kevin in his efforts to create the best online fitness platform in the world. You will get to know lots of interesting people, can share your knowledge or learn from others. Sports and fitness are also very much about teamwork and Kevin is keen to build a strong support structure for his clients and website visitors. Getting fit is so much easier within a community of like-minded people, all eager to see you succeed. Kevin replies to all inquiries in person within a 24 to 48 hour period.